Our students here at Gentle Palm are not just stars in the Dojang, they are stars in their academic life as well. Brother and sister, Malik and Ja’Mya Jackson, are showing that they can “Be the Best You Can Be”. They both take violin and piano, and are in the choir. Malik also plays drums. They both performed at the Chase Center for the MLK Jr. celebration on January 20, 2014. Ja’Mya is very committed to excellence and diligence on making the Principal’s List at her school the Sharon Temple Adventist School, with a 4.0 GPA. We are very proud of her. 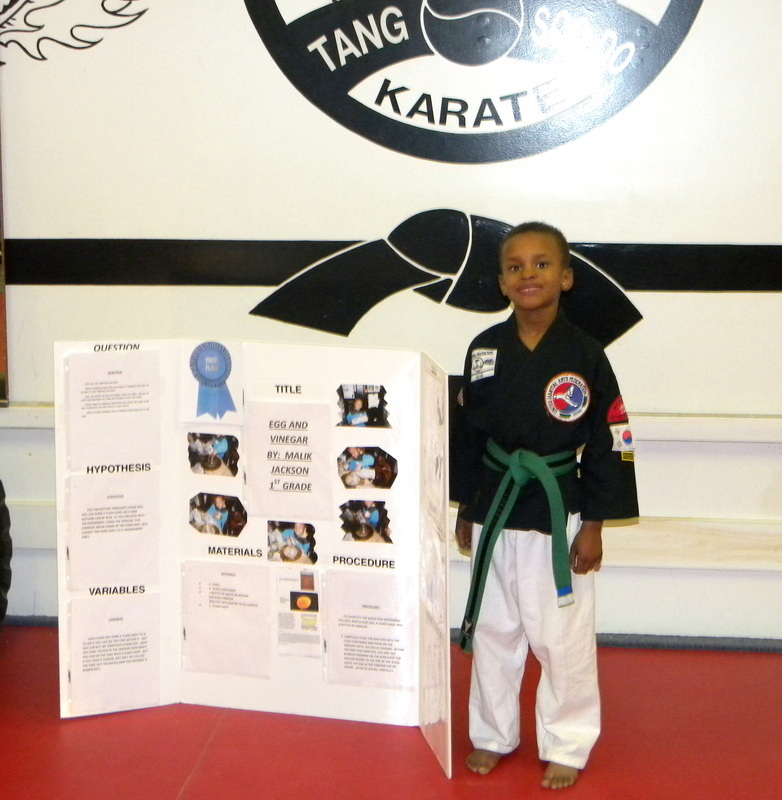 Malik attained 1st Sharon Temple Adventist School Science Fair gaining him entrance into the Allegany East Conference Regional Science Fair on February 23, 2014, where he won 2nd place in the First –Second grade category for the place overall. We are very proud of him.